Sports Massage is a form of deep tissue massage that releases tension and breaks down muscular adhesions or 'knots'. Physical activity, driving, sitting or poor posture bring about adhesions. Maintenance Sports Massage is key to prevent muscle imbalance and injury. It is great for neck, back and shoulder aches & pains. Post-event/recovery massage (between 0 and 24 hours post event) is also beneficial. The pressure applied is modified to provide a soothing effleurage and lymphatic drainage to tired muscles. Post-event sports massage aims to flush away waste products through the promotion of blood circulation and lymphatic flow. Finally, fresh oxygen and nutrients are brought into the muscle which is vital for repair and replenishing. 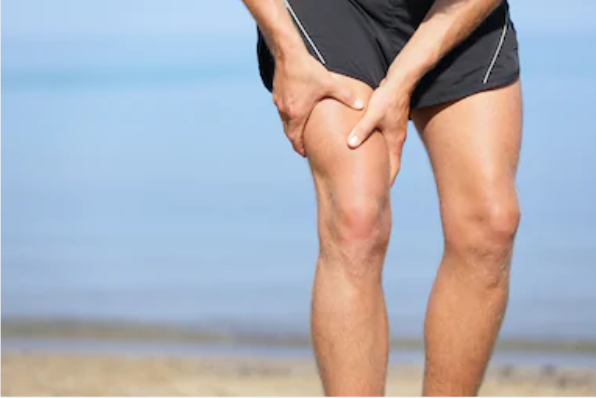 Muscle adhesions commonly occur where there is greater demand or stress on that part of the muscle. Muscle fibres tear during exercise (you may feel DOMS the next day) and the body heals - producing stronger and additional muscle fibres. During this process the fibres ‘glue’ together. This leads to inefficient muscles as the fibres are unable to fully contract or relax. Blood flow to the area is also restricted, reducing oxygen & nutrient delivery and the removal of waste products. Sports Massage and stretching can help undo these adverse effects. If you are for specialists in this field (and not looking for a pure physio treatment (with assessment, diagnosis and rehab for an injury or disorder)) then you may want to book in with one of our Sports Massage Therapists - Charlotte or Anna. They will perform a quick assessment, taking in your medical history, current issues etc. and may perform some diagnostic tests. This will guide the session and outline a program of exercises and follow up appointments. This will help ensure you are improving and have the self-management tools to keep you that way. Please call the clinic to book in as Anna & Charlotte do not appear on our online booking system. All of our physios are proficient in Sports Massage and may offer it as part of your treatment plan. A session with a Physio will only be a 40 minute appointment, whereas with our therapists a standard session is 60 minutes. Sports Massage is £48 for the hour session. Please go online to book in or call the clinic for more information.